Udhampur: Playing down the statements of former chief ministers Mehbooba Mufti and Omar Abdullah targeting the army, a top official Thursday said such statements do not affect the morale of the Indian armed forces and will continue anti-terrorism operation "as per our mandate". "The Indian army does not get affected by various statements. We know that the Government of India is committed to ensuring peace and normalcy in Jammu and Kashmir. 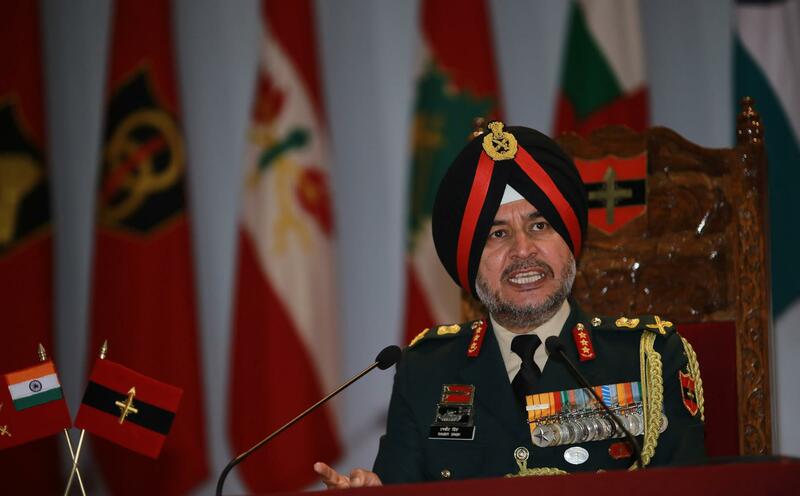 "They have mandated the Indian army to conduct counter terrorism operations in Jammu and Kashmir and those operations are being conducted," Northern army commander Lt Gen Ranbir Singh told reporters here. He was replying to a volley of questions seeking his reaction about the statements of Mufti and Abdullah targeting the army on counter insurgency operations in Kashmir and their effects on morale of troops. "We will continue to do so (counter terrorism operations). These statements does not affect the moral of the armed forces, if any person makes any statement to the contrary", he said. He said that the strength of the Indian army lies in "our ability to carry out action and tactical operations in most professional manner". "It (the statements of politicians) has certainly not impacted as far as morale of the Indian armed forces is concerned", he added. Mufti alleged that an Army officer, Major Shukla, had tortured Tawseef Wani at the Shadimarg camp of the Army and threatened to kill him in an encounter. "Kashmir is a political issue and cannot be resolved through military power," Mufti tweeted. "Army men hailed as heroes for their bravery also need to be held accountable if they commit human rights violations," she said. She said she visited Wani on Wednesday. Jammu and Kashmir Governor Satya Pal Malik on Wednesday dismissed PDP chief Mehbooba Mufti's demand for action against an Army officer, saying "she doesn't need to be taken seriously". Former chief minister Omar Abdullah last Thursday took on the Indian Army for hailing crackdown on terror. After Northern Command Chief Lt Gen Ranbir Singh said that over 250 terrorists were killed and 54 were caught alive by security forces in 2018, the National Conference leader said that "a great year would be one in which no young man would join militancy" GoC-in-C said "everybody have been giving views of various incidents.Governor has given its response. I want to assure the Indian army conducts its operations in most professional manner. There is not any kind of leeway and SoP is put in place". He said that there are "do's and don'ts" for every soldier, who is part of any counter terrorist operation. "Anybody does any wrong, we investigate and take action accordingly. Please see through action not the statements only. The Indian army have been able to deliver good results," he said.